Happy Monday to everyone. Kirsten here to launch the new promotion & giveaway, which this month is Lavinia Stamps. Those of you who were at the class on Friday will know that we have lots of new designs available, they will all be on the website tomorrow, Tuesday. Over the next few weeks, we'll be showing you all the samples we made for the class along with assorted tutorials & how-to's. (Apologies if this photo is a little blurred, Lisa has been having camera trouble). You must leave one comment on EVERY blog post - including this one - in the next two weeks from today, June 9 to the final post on June 22. The winner will be chosen by a random number generator & announced here on Monday, June 23. 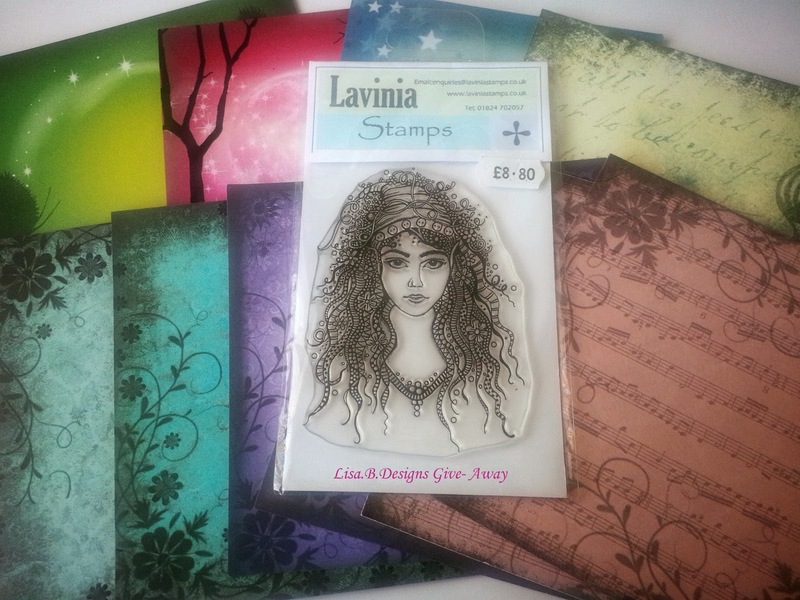 It would be lovely to win Lavinia stamp goodies....... Personally I preferred the 2nd card on Friday, but then I dont do messy!!!!!! Lovely stamp and colours behind it.